With spring quickly moving through to summer, it is prime time for flowers to bloom, the grass to grow greener, and the temperatures to rise. To keep your lawn and plants healthy, you may want to check in on your sprinkler or irrigation system to make the most out of outdoor living this summer. The nice thing about sprinkler or irrigation systems is how they can give you the best lawn in the neighborhood with minimal work. However, because they are underground, it can be difficult to tell when there might be an issue. Leave a system uninspected and you could end up with leaks and failures, leading to high water bills and potential damage to your home. 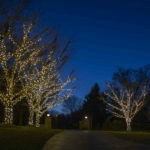 That’s where Aqua-Bright Irrigation & Illumination comes in. 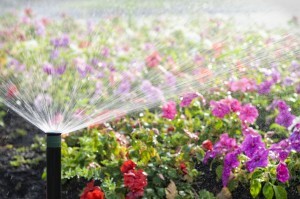 As a Baltimore-based company, we are more than familiar with the local climate and can help you prepare your sprinkler or irrigation system for spring. We are happy to do inspections and make any necessary tweaks to give you that green grass your heart has desired during this recent bleak and bleary winter. What’s the distance between your sprinkler heads? If they are too far apart, your lawn may have dry spots due to poor water distribution. Too close, you may risk over-saturating your lawn. How’s the water pressure? 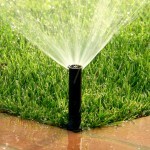 If it’s too low, it will lead to poor water distribution, leading to a not-so-green lawn. If it’s too high, you might be missing a pressure regulation device and instead of a green lawn, you’ll have a green swimming pool. The kids might like it, but the neighbors, not so much. Fortunately, we can easily fix that for you. Where’s the water going? 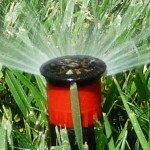 Are your sprinklers spraying properly? Is the water reaching the plants you want it to reach? What about the excess water? If the sprinkler system’s backflow is running into the city’s water supply, you may be at risk of contaminating your own drinking water. A certified professional can ensure that the water goes where it’s supposed to go, and nowhere else. 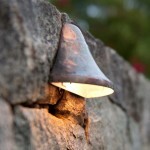 At Aqua-Bright, we take our time and pay attention to every detail to get the job done right. 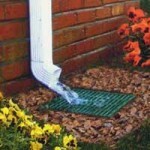 For more information about outdoor drainage systems in Baltimore, Maryland or the surrounding areas, call Aqua-Bright today at 410-489-9009 or visit our website. This entry was posted on Tuesday, April 1st, 2014	at 7:47 pm	. You can follow any responses to this entry through the RSS 2.0	feed. Both comments and pings are currently closed.